Are you the King of Burging? 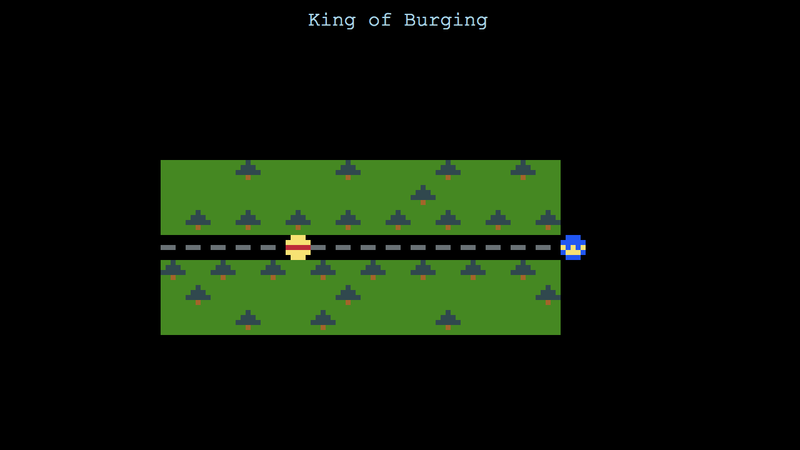 This burging simulator is an example of using vanilla puzzlescript to abstract player movement. It was made in 2018, and probably should not have been.